I cannot express how much I love Jean-Jacques Beineix's Diva. It fits firmly in that category of films for that transcends it's time, genre and vision. It's one of those films that feels small yet encompasses so many parts to make a complete whole. Often accused of being more style than substance Diva defined that very term for many- and became a meme that has influenced film-makers since. 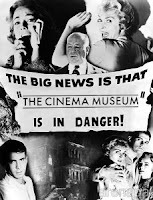 Looks like Future Cinema are giving us the opportunity to experience Diva in a wonderful, unique and immersive way. Two tapes, two Parisian mob killers, one corrupt policeman, an opera fan, a teenage thief, and the coolest philosopher ever filmed. All these characters twist their way through an intricate and stylish French language thriller. It epitomised everything I love about cinema, Europe & design. It's full of intrigue, passion interesting characters (menacing villains, hapless heroes, ultra cool philosophers), brilliant lighting and music . It was such an influence on me that I decorated my loft in the late 90s in a very similar fashion to one of the character's homes. In fact the only reason I liked the space was because it reminded me of Gorodish's pad in Diva. Director Jean-Jacques Beineix launched the Cinema Du Look movement with this stylish cult thriller that remains as innovative today as when it premiered in 1981. 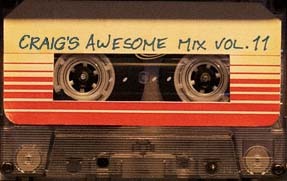 Jules (Frederic Andrei), a young postal carrier, illegally tapes a concert of a reclusive opera singer (American soprano Wilhelmena Wiggins Fernandez). Jules' attempts to woo the diva are interrupted when Taiwanese bootleggers come after the recording. His problems become worse when a prostitute slips another tape, one that incriminates a police chief, into his bag. Jules must escape the police chief, the cop's henchmen and the bootleggers to keep both precious tapes safe - and to stay alive. 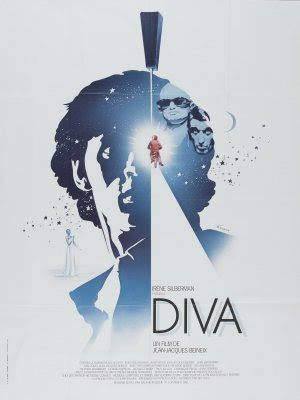 Featuring critically acclaimed cinematography and a celebrated chase through the Paris Metro, DIVA earned Cesar Awards for Best Music, Best Cinematography and Best Directorial Debut. 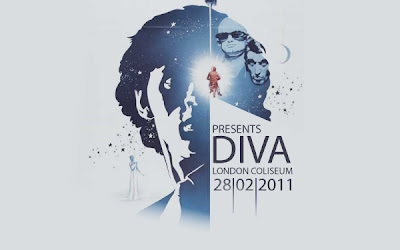 On Monday 28th February at 18.30, Future Cinema the creators of Secret Cinema, bring Paris to St Martin's Lane with live adaptation and subsequent screening of Jean Jacques Beineix classic thriller Diva at the London Coliseum in partnership with ENO. Following her spectacular debut as Mimi La Bohème for ENO, where the Daily Telegraph crowned her “best newcomer” 2010, Elizabeth Llewellyn stars as Cynthia Hawkins. Tickets will be available from Thursday 3rd February at 13.00 here. Starring: Dominique Pinon, Wilhelmenia Fernandez, Frédéric Andréi. Over at here tickets over here!